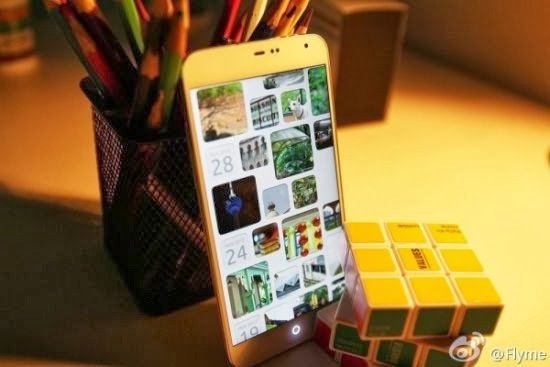 Several shots of what appears to be a Meizu MX3 running on the Ubuntu operating system have surfaced online. The photos come courtesy of Meizu's official account on the Weibo.com Chinese social networking site. Just last month, Canonical (the folks behind Ubuntu) announced that the Ubuntu mobile OS will move from being a (rather tricky) aftermarket solution, to a full-fledged out of box OS. Then, Canonical CEO Mark Shuttleworth referred to a potential hardware partner that would ship a mobile with Ubuntu out of box, although he didn't specify which one. The Meizu MX3 was released this past October running Android 4.2 Jelly Bean with Meizu's own Flyme OS UX. It runs on an octa-core Exynos 5410 chipset with four 1.6GHz Cortex-A15 cores and four 1.2GHz Cortex-A7 cores. It comes in models bearing between 16 GB and 128 GB of non-expandable internal memory, 2GB of RAM, and an 8MP shooter.So if you are into Ubuntu OS on your desktop,i guess this will be a good news for all of you Linux fans specially in the era where handset usually rules nowadays.